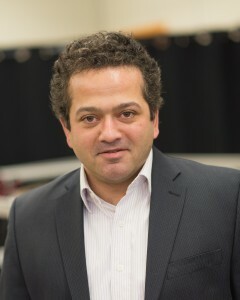 Dr. Mohammad Rastgaar-Aagah is an assistant professor in the Mechanical Engineering-Engineering Mechanics Department at Michigan Technological University since 2011. 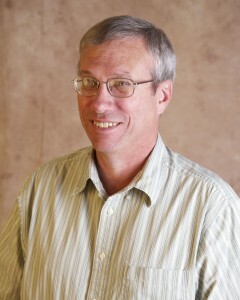 Dr. Rastgaar received his Ph.D. degree in Mechanical Engineering from Virginia Tech in 2008. He was a post-doctoral associate in the Newman Laboratory for Biomechanics and Human Rehabilitation at MIT. 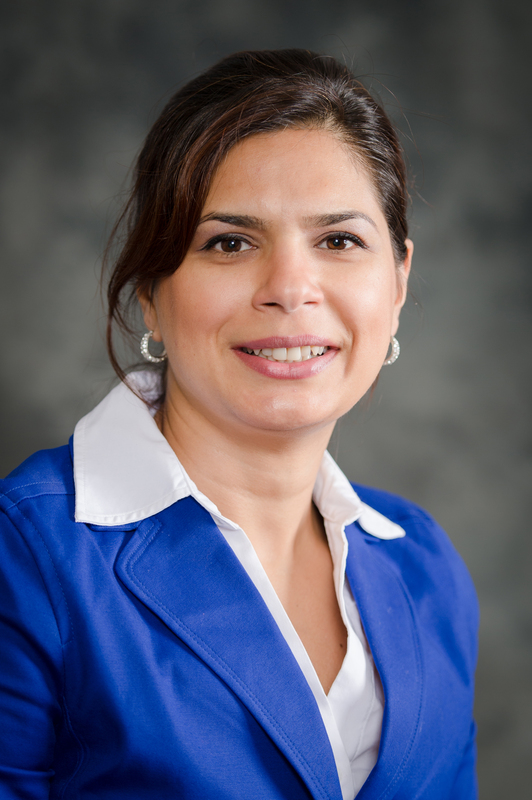 Dr. Rastgaar is a recipient of 2014 NSF CAREER award. Dr. Rastgaar is the founding director of the Human-Interactive Robotics Lab (HIRoLab) at Michigan Tech. The research at the HIRoLab is focused on the development of lower extremity assistive and rehabilitation devices for enhanced agility and improved mobility. The research goal at the HIRoLab is to further the critical understanding about the dynamics of gait, especially during different maneuvers, through experiments with human subjects and modeling. Big disasters almost always result in big power failures. Not only do they take down the TV and fridge, they also wreak havoc with key infrastructure like cell towers. That can delay search and rescue operations at a time when minutes count. Now, a team led by Nina Mahmoudian of Michigan Technological University has developed a tabletop model of a robot team that can bring power to places that need it the most. The team has programmed robots to restore power in small electrical networks, linking up power cords and batteries to light a little lamp or set a flag to waving with a small electrical motor. 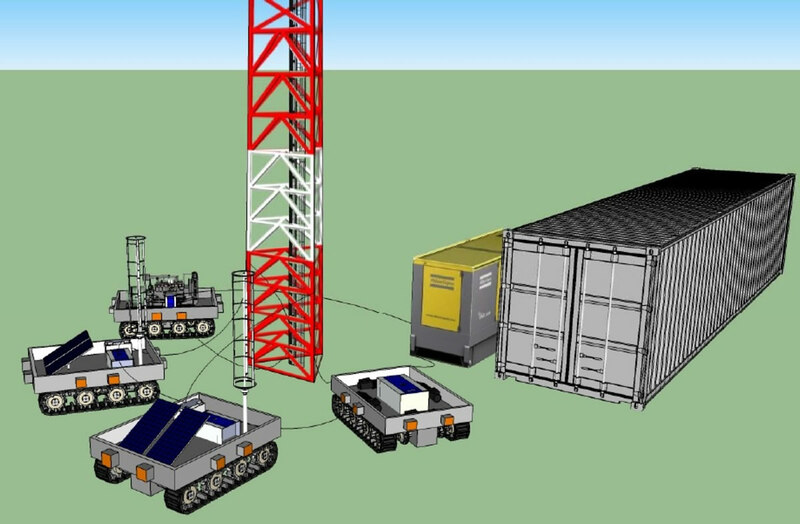 The robots operate independently, choosing the shortest path and avoiding obstacles, just as you would want them to if they were hooking up an emergency power source to a cell tower. To view the robots in action, see the video posted on Mahmoudian’s website. “Our robots can carry batteries, or possibly a photovoltaic system or a generator,” Mahmoudian said. The team is also working with Wayne Weaver, the Dave House Associate Professor of Electrical Engineering, to incorporate a power converter, since different systems and countries have different electrical requirements (as anyone who has ever blown out a hair dryer in Spain can attest). 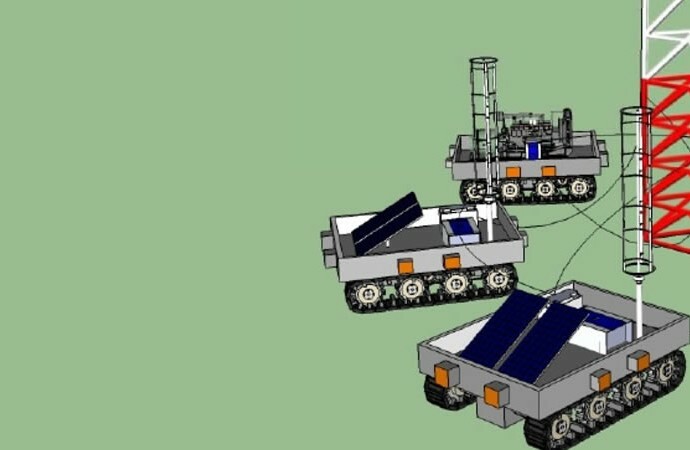 In addition to disaster recovery, their autonomous power distribution system could have military uses, particularly for special forces on covert missions. “We could set up power systems before the soldiers arrive on site, so they wouldn’t have to carry all this heavy stuff,” said Mahmoudian. The team’s next project is in the works: a full-size, working model of their robot network. 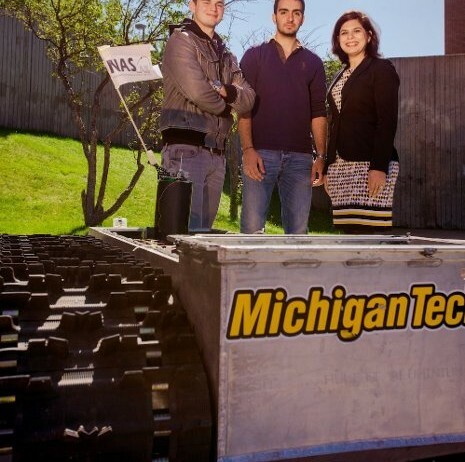 Their first robot is a tank-like vehicle donated by Michigan Tech’s Keweenaw Research Center. “This will let us develop path-planning algorithms that will work in the real world,” said Mahmoudian. The robots could also recharge one another, an application that would be as attractive under the ocean as on land. During search missions like the one conducted for Malaysia Airlines Flight 370, the underwater vehicles scanning for wreckage must come to the surface for refueling. Mahmoudian envisions a fleet of fuel mules that could dive underwater, charge up the searching robot and return to the mother ship. That way, these expensive search vehicles could spend more time looking for evidence and less time traveling back and forth from the surface. The team presented a paper describing their work, “Autonomous Power Distribution System,” at the 19th World Congress of the International Federation of Automatic Control, held Aug. 24-29 in Cape Town, South Africa. Coauthors are Mahmoudian, Weaver, mechanical engineering graduate student Barzin Moridian, electrical engineering undergraduate Daryl Bennett and Rush Robinett, the Richard and Elizabeth Henes Professor in Mechanical Engineering. Funding has been provided by Michigan Tech’s Center for Agile Interconnected Microgrids. This research is focused on development of innovative practical solutions for control of individual and multiple unmanned underwater vehicles (UUVs) and address challenges such as underwater communication and localization that currently limit UUV use. More specifically, the Nonlinear and Autonomous Systems Laboratory (NAS Lab) team are developing a rigorous framework for analyzing and controlling underwater gliders (UGs) in harsh dynamic environments for the purpose of advancing efficient, collaborative behavior of UUVs. Underwater gliders are now utilized for much more than long-term, basin-scale oceanographic sampling. In addition to environmental monitoring, UGs are increasingly depended on for littoral surveillance and other military applications. This research will facilitate the transition between academic modeling/simulation problem solving approach to real-world Navy applications. The importance of this research is evident in the Littoral BattleSpace Sensing (LBS) Program contract at the Naval Space and Naval Warfare Systems Command for 150 underwater gliders, designated the LBS-G. These gliders will be operated by the Navy in forward areas to rapidly assess and exploit environmental characteristics to improve the maneuvering of ships and submarines and advance the performance of fleet sensors. Research results will provide the coordination tools necessary to enable the integration of these efficient and quiet vehicles as part of a heterogeneous network of autonomous vehicles capable of performing complex, tactical missions. The objective is to develop practical, energy-efficient motion control strategies for both individual and multiple UGs while performing in inhospitable, uncertain, and dynamic underwater environments. The specific goals of this project are twofold. The first goal is to design and fabricate a fleet of low-cost highly maneuverable lightweight underwater gliders. The second goal is to evaluate the capability of the single and multiple developed UGs in littoral zones. The proposed work will develop UGs that would share the buoyancy-driven concept with the first generation of gliders called “legacy gliders.” However, the NAS Lab UGs will be smaller in size, lighter in weight, and lower in price than legacy gliders. This will result in more affordable and novel UG applications. Moreover, the NAS Lab design to development approach allows for technological innovation that overcomes known challenges and responds to unexpected needs that arise during testing. Therefore, the significance of this research is that it will enable implementation of recently developed efficient motion planning algorithms, multi-vehicle coordination algorithms, and extension of these algorithms in realistic conditions where absolute location and orientation of each vehicle is not known and the time-varying flow field is not locally determined. Dr. Vaughn has joined Michigan Tech as a research professor after retiring from Sandia National Laboratories. His research expertise is in the area of mechanical and electromechanical design, stress analysis, dynamics, and innovative applications. He has over 10 patents, and has been the lead on a broad array of projects for the military. Research is focused on developing technology to create systems that can autonomously create a microgrid, for situations that require the ability to preposition a basic level of energy infrastructure such as areas damaged by natural or man-made disasters, and autonomously deploying forward operating bases. Modeling and control of robotics and power conversion systems provides the ability to create such prepositioned electric power networks. 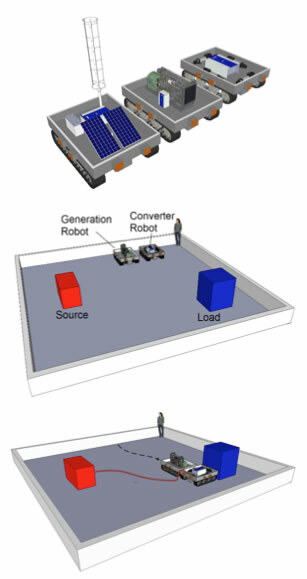 Four autonomous microgrid robots, each with different power network functionality. Two have renewable energy generation and storage capability, another has a conventional diesel genset, and the third contains intelligent power electronics for conversion and hard-line interconnection, and switchgear. After assessing the power requirements and available resources they would physically organize and electrically interconnect to form a micro-grid.